A nice beef pasta sauce can really go a long way. You would not be blamed for wanting just a bowl of the sauce to enjoy when it is made just the right way. One of the easiest ways to make that type of sauce, that eat-by-itself beef pasta sauce is with a crockpot. Crockpots help let the beef really marinate in the sauce and meld with it in a special way. The best part is, there are easy crockpot pasta recipes with beef. 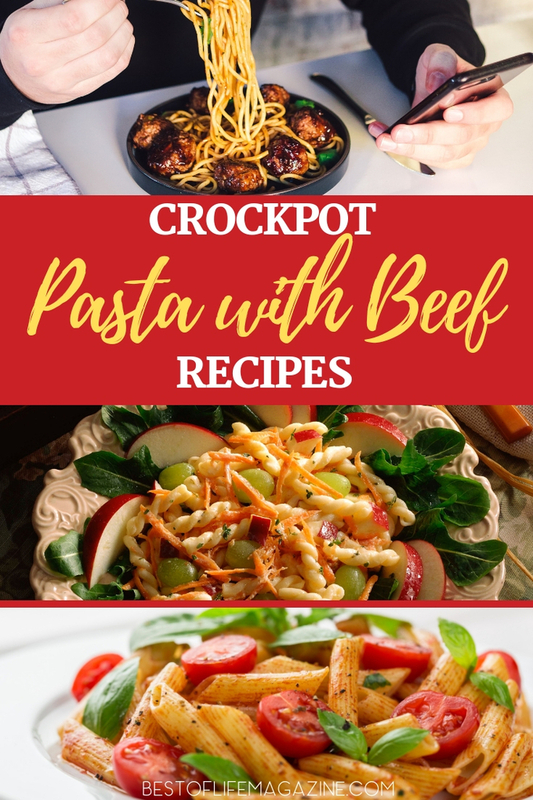 Let some easy crockpot pasta recipes with beef take your next family dinner to the next level, the level of pure foodie bliss. Crockpots are meant to cook low and slow and there is no better way to meld Italian flavors with beef than low and slow. Think of a simple spaghetti sauce, a ragu sauce. 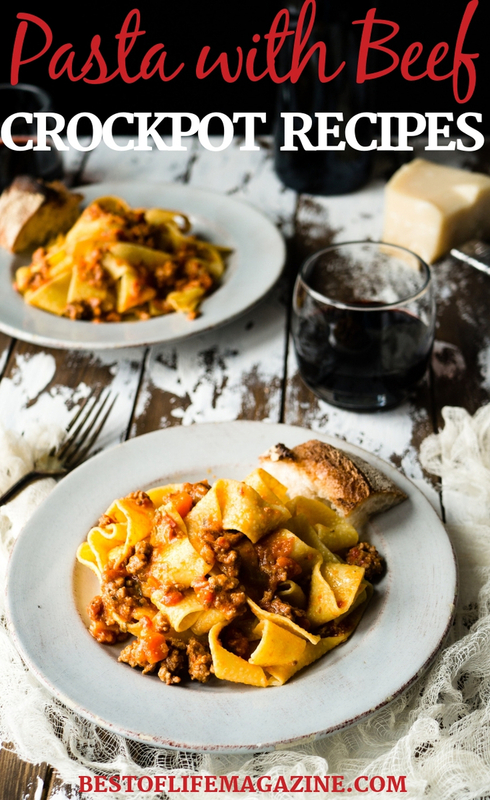 Ragu is meat based, primarily beef but other meats can be used, that is soaked in a liquid, sometimes wine or a broth but more commonly tomato sauce. The seasonings and the veggies melt into the liquid which marinates the meat as it cooks. While most people enjoy a ragu sauce from a jar, that sauce doesn’t have much time to marinate in the flavors. 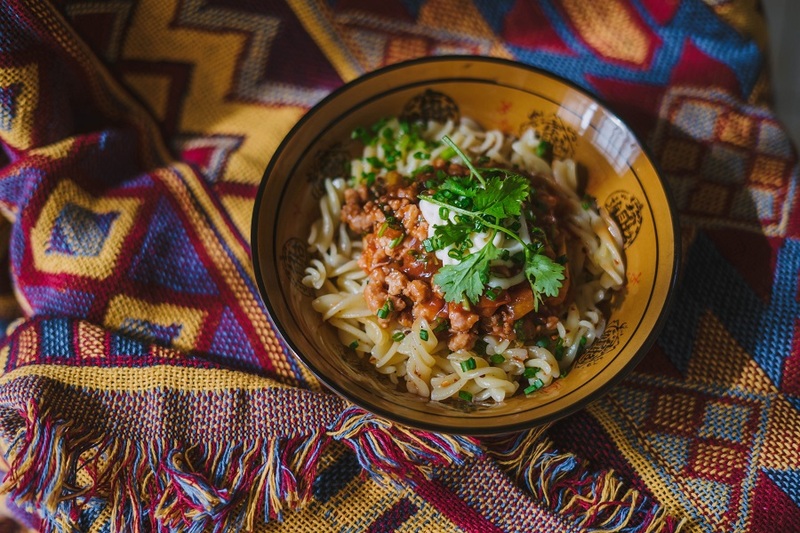 This is how a crockpot helps, easy crockpot pasta recipes with beef allow those flavors to melt down and marinate the meat which packs each bite with flavor. When making crockpot pasta it is important to remember that you’ll essentially be using the crockpot for the sauce only, it isn’t a great idea to throw angel hair pasta in the sauce and let it soak for more than 8 hours. You could kiss your al dente goodbye if you do it this way. Instead, cook the sauce and the pasta separately, then serve together and enjoy.